Stock # 11501, 2.0L L4 DOHC 16V, 6-Speed Automatic, 26783 mi. 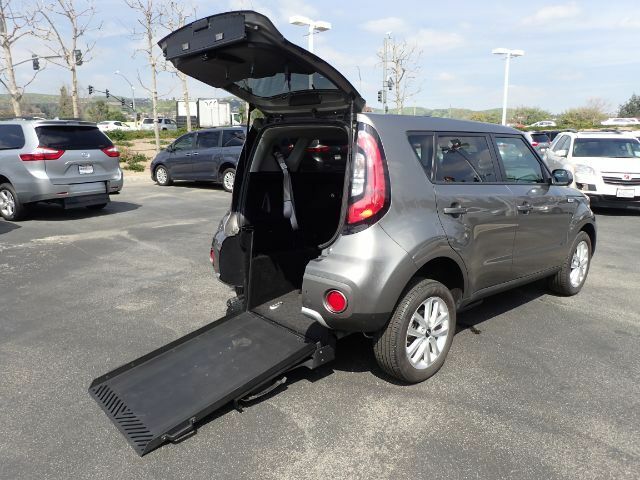 This fun & sporty accessible car is available only on the Kia Soul + with automatic ramp. This 2018 conversion by Freedom Motors (FMI) is equipped with a 32" rear-entry ramp. This compact vehicle is great for caregivers and younger chair users looking for quick 'n easy in & out parking and ramp deployment. Incredible surround sound system and touchscreen display, Call today to test drive the rare find (877)325-4000.